Built in Queenscliff, sailed to Melbourne, loaded on the coastal trader ‘Casino’ and delivered to Port Fairy where she fished for Couta for many years and was used as a cray pot boat. Found in 1984 in Portland. 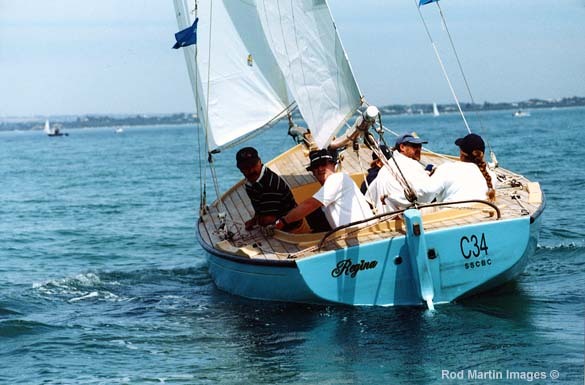 First raced again after restoration in the Portsea fishing boat regatta in 1986 winning the regatta. Restored by Martin Bryan and Graham Aldersea. 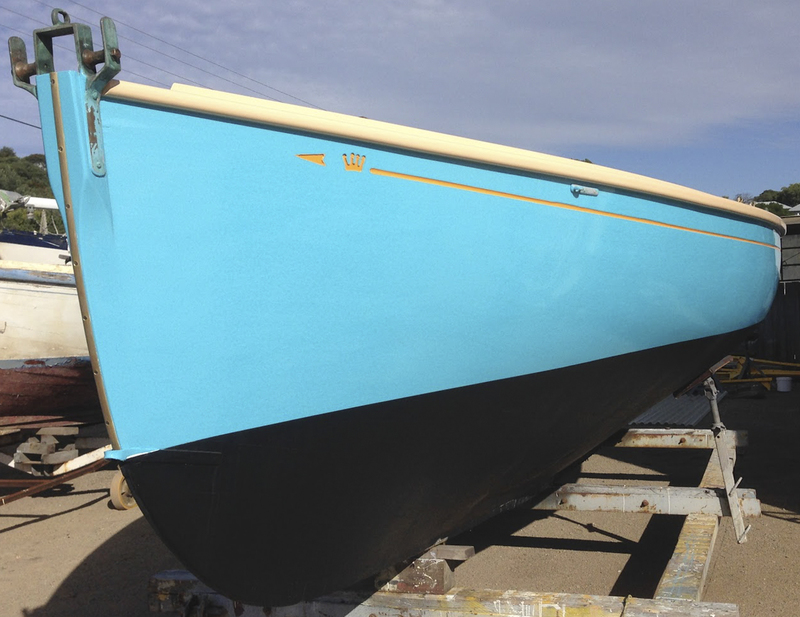 Work included new deck, ribs, spars, some planking and a new engine. Previous owners include Marty Bryan and later Roger Bastone. 2 time winner Portsea fishing boat regatta 2 time Walter Todd trophy (Queenscliff) 1st Nissan Regatta Season aggregate winner.